one i’ve been working on is an interview with erica berman of haven in paris. she’s become a good friend and huge inspiration for me and everyone who knows her. 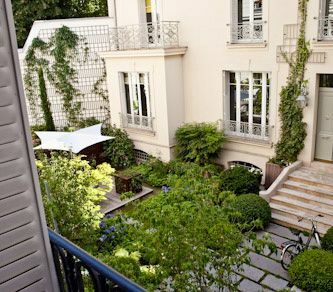 she’s and american girl who started HiP with the purchase of a modest paris apartment and has since become a leader in the industry she helped create, renovating and renting real paris apartments. she’s now got a couple of her own and has amassed a small army apartments for the rest of us to enjoy. she’s living a dream come true and i sure wish i could learn 1/10th from her and have a place there one day. each of her offerings is more beautiful than the next and she’s had a hand in most of them design wise. 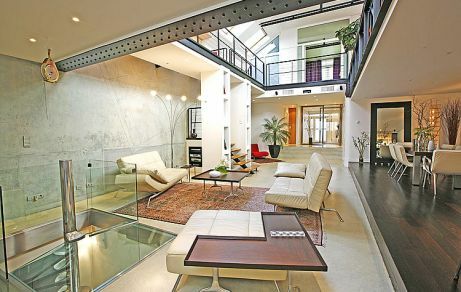 there’s a lot of freedom in paris to move baths, gas lines and, well it’s pretty much sky’s the limit to do whatever you want other than touching a load bearing wall. i had the pleasure to stay in a few of her places and every one was an exercise in excellence from the service to the electronics. i’m happy to introduce you to erica. 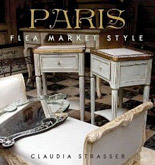 to know her is to love her, a new england girl in the middle of paris, setting design trends. 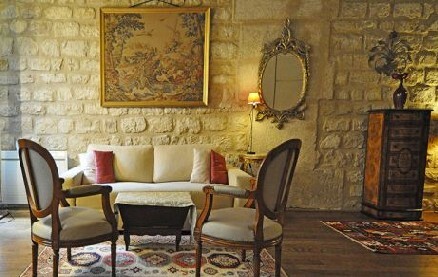 oh, and ps, she’s going to the maison objet and has agreed to cover it for us! so sit back and enjoy a little conversation with erica to see how she does it all! A little background: In 1993 Erica arrived in Paris, a recent graduate from Syracuse University’s Newhouse School of Communication, looking to perfect her French and explore France before heading home to start post- grad living in the US. 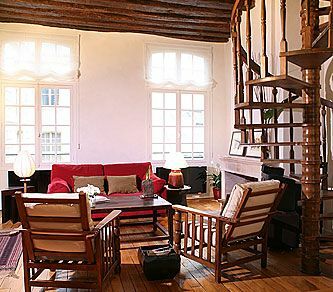 Seventeen years later, she’s living between Paris, Italy and the US, and redefining the market for luxury vacation rentals in the City of Light with her company, Haven in Paris, and her blog, HiP Paris.com. 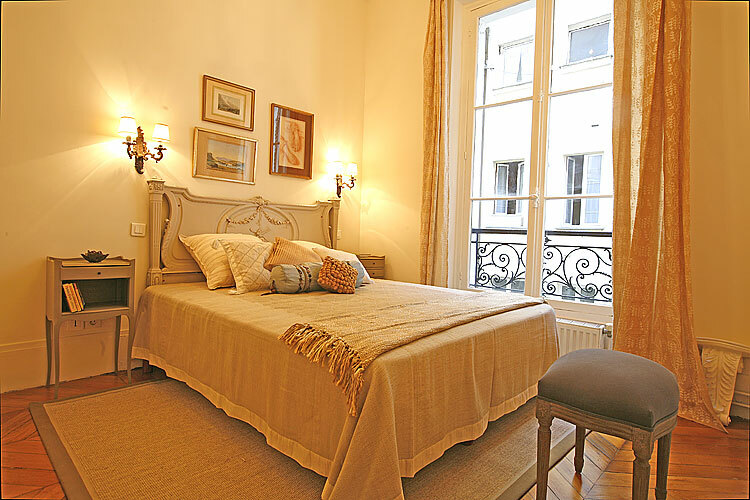 After owning another successful Paris vacation apartment rental company with a partner for many years, she founded Haven in Paris in 2005, and the company’s portfolio now includes over 25 apartments throughout Paris (and a few select villas in Provence and Tuscany). Erica’s unique take on customized travel and Parisian life has allowed her to help thousands of clients achieve an authentic travel experience. I had a chance to get to know Erica during my last trip to Paris and was more than a little intrigued by her. 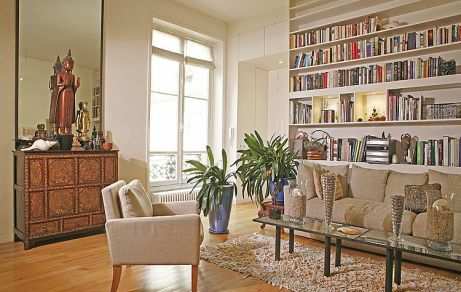 More recently I interviewed her about how this has evolved, the machinations of apartment stays, the challenges of working in Parisian real estate, and the joys of using her diverse skills to build one of Paris’ premiere upscale rental agencies. TPA: You seem to be a natural at this, your website is just delicious and you’re the consummate professional. But everything starts from just an idea. How did Haven in Paris (HiP) come to be? EB: I decided to start my own company to create something that directly resembled my philosophy of luxury and service ideas and original travel experience. 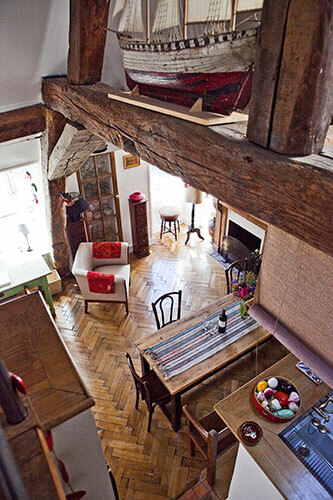 It seems that apartment rentals are many travelers’ preferred way to experience a city. You get more “bang for your buck”. This definitely resonates with me, as I always rent apartments or villas and stay in B&B’s when I travel. TPA: Does your educational background have anything to do with your work? EB: Not directly per se, but I use it all the time. I have a degree in journalism from Syracuse Newhouse school of Journalism and a minor in Psychology. I spend much of my time writing and I definitely use some psychology in order to try to best understand and meet the needs of my diverse clientele and owners, and the many challenges that go hand in hand with the rentals. I also studied photography in Paris which comes in handy on the Haven in Paris site and the HiP Paris blog. TPA: Do you think you could prepare for this sort of career or is it’s something you learn as you go along? EB: Personally, I learn as I go. But I’m sure an MBA and/or interior design degree might be helpful. Nevertheless, I have no plans to go back to school. There is too much else to do with working, traveling, learning Italian, doing my photography and writing! TPA: I know running a business isn’t as glamorous as it looks and you’re constantly working on the back end. Still, there’s always an upside., What are the 3 things you enjoy most about the business? EB: 1. The fact that I can work from anywhere as long as everything in Paris is in order (and I try my damndest to make sure it is. We have fabulous greeters, cleaners, and service providers.) This past year I have lived in Massachusetts, Paris, Genoa, Italy, Brooklyn, NY, and Maine. 2. The fact that no day is ever the same. 3. Meeting so many wonderful diverse people. TPA: You must see a lot of great apartments in your travels. How do you decide which will fit in with HiP? What constitutes the WOW factor for you? TPA: We had a ton of fun when we went out but it was all business when it came to your owners and clients. What’s your business philosophy? EB: Glad I was fun, so were you! Let’s see, I am very firm. This was very hard for me at first. I worried people would go elsewhere (especially owners), but it gets easier and I think people actually like someone who is steadfast and knows what she wants and expects of them. All potential owners are given a list of all that they need to do and put in their flat in order to be considered for the HiP site. I will not work with them if they are not willing to fill the requirements. 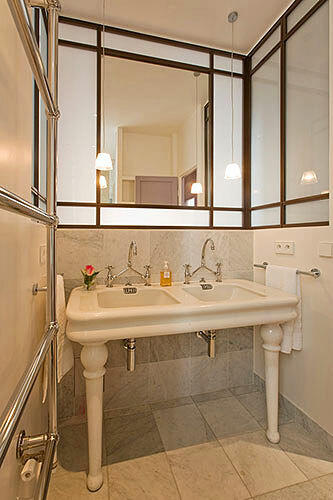 I want my clients to find similar quality and amenities in all flats. Owners often do not realize that in order to make money they need to spend money. If they are reluctant, I tell them that Haven in Paris will not be a good fit for them. There are many agencies out there and Haven in Paris is not for everyone. On the client side, we try to make the booking process as seamless as possible with all of the apartment and rental details clearly defined on the website and in the contract so there are no surprises. TPA: I met with a lot of owners and saw lots of apartment when I was there researching a book about renting real apartments this spring. Your apartments were by far the most plush and comfy. What do you attribute that to? EB: Thank you! It’s so nice to know the hard work is paying off. Let’ see…I will not skimp on linens, towels or high speed wireless Internet. 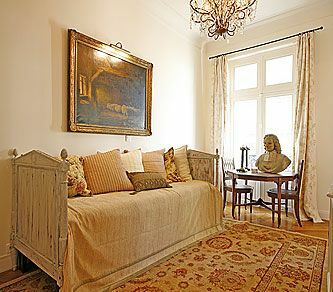 I try to require king, or at least queen, sized beds, include computers in all the apartments, cable TV, fully equipped kitchens and bathrooms with proper North American style fittings. As most of our clients are North American, Australian or British, we offer free unlimited phone service those countries. We are also constantly maintaining the apartments in order to keep them in the best condition possible. Not an easy or particularly enjoyable process, but an extremely important one. TPA: Each place I stayed had everything from art to books to videos. 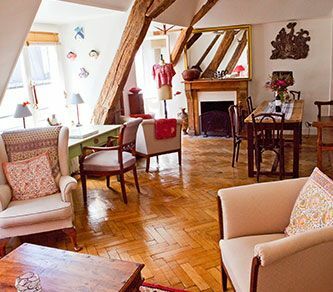 How do you strike the balance of having real apartments that belong to families or artists with a place that feels uncluttered enough for guests? EB: I don’t usually take on any apartments that are owner occupied (with infrequent exceptions), as it is very complicated to strike this balance with the owner’s personal belongings. On the other hand, I want all the flats to feel both luxurious and comfortable with books, music, videos, and little touches that make clients feel at home. TPA: You own an apartment that you rent when you travel. Was getting that first apartment difficult? Was there a lot of red tape? EB: Buying in France is complicated, but I imagine it may be no more so then anywhere else. As I have never bought anywhere else, I have nothing to compare it to. There are specialists in Paris that who help foreigners buy and make sure they are treated fairly. 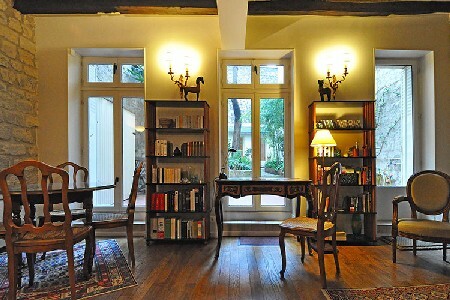 I work closely with these professionals so friends and clients who buy in Paris have positive experiences. It is best not to set out on your own to buy in France if you do not know the system. TPA: We spoke about some of the renovations you’ve done. It’s something most people don’t enjoy because there are lots of rules and regulations here in the States. What’s it like working with architects and the city of Paris in general? Are there lots of rules for what can and can’t be done? EB: I love renovating and have done over 15 guts, renovations and complete decorations in Paris apartments specifically to rent to tourists. I think that Paris may have less red tape then a lot of other places, but there are definite rules that need to be followed. Having a good architect is key. Luckily, I know and work with a couple of excellent ones (and one is even a very charming American living in Paris). TPA: I think we all dream of having an apartment in the city. Having it generate an income is an additional benefit. 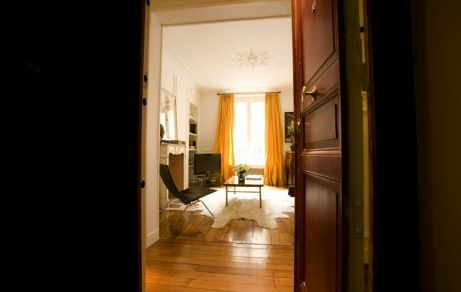 What would you suggest to Americans who are interested in purchasing an apartment as a rental property in Paris? Is it a good investment? EB: Paris will always be Paris. Prices appear to have stabilized and may even be dropping, so I would say it is a good investment. Depending on the amount of the mortgage one needs to take out (or not), the apartment can generate more or less income. TPA: On your site you have listings for villas in Tuscany, and I know you spent time in Italy this summer. Is Italy a place you’d like to develop for your business? EB: It’s possible, as I love Italy, but for now, I really want to concentrate on Paris. TPA: When we talked I mentioned expansion to NY or other cities but you said you wanted to keep it tight and focus on what you already have. How many apartments do you represent now and where do you see your business heading in the future? I am a firm believer that it is best to stick to what we do best, and that is Luxury in Paris, and to keep improving in that area. 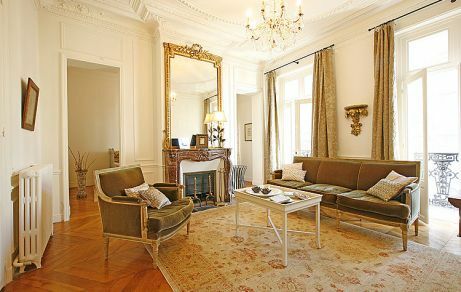 Right now we have over 25 luxurious Paris apartments with a few new ones on the way. 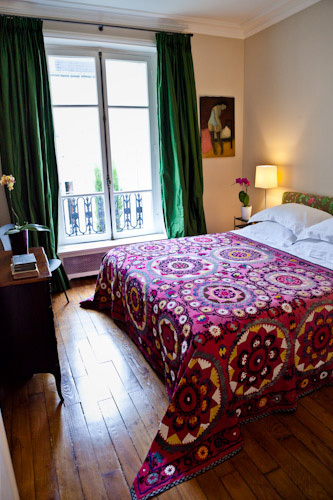 We have so many Parisian apartment owners contacting us to be on the site, we just can’t keep up. Thus, I am only representing the best of Paris and that is keeping me very busy! TPA: I’ve been reading your blog hipparis.com. It’s an incredible resource full of original ideas and great places. Is there ever a shortage of things to write about? Who does the research and have you ever considered putting a book together? There is certainly no shortage of things to write about. There are 4 of us here at Haven in Paris and we all do the research. We all have different areas of expertise and poles of interest. Iit helps us to keep on top of all sorts of amazing things. We just started the blog in January so I had not thought of a book. But, you never know!, Iit’s great fun. TPA: Not to change the subject but we share a passion for going green. 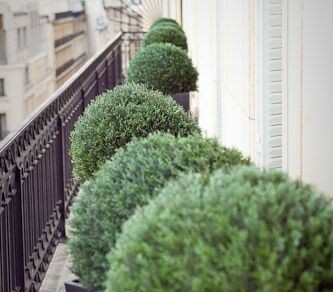 What are some of the green elements that you’ve added or would like to see in your apartments? EB: I’m working toward going green in the flats but this is not a simple task in Paris, or with a luxury clientele who have certain needs and demands. I’m looking for a green who dry cleaner who uses non- toxic products, but have not found one yet. I’m testing organic cleaning products and hope to implement the use of them completely in the flats shortly. I’d also like to have literature in the flats and on the site asking clients to turn off lights, turn down heat, take shorter showers, change linens only when needed, reduce, recycle, reuse and simply use less in general. I firmly believe that together we can all make a difference. tpa: i agree. in fact in paris i hardly buy anything with packaging. thanks for the info erica! well gang, i hope you enjoye a glimpse into erica’s life and next time you need a place to stay in the city of light, look her up and tell her i sent you for extra special service and rates. for more information on her and her company, check out her site and blog. September 3, 2009. 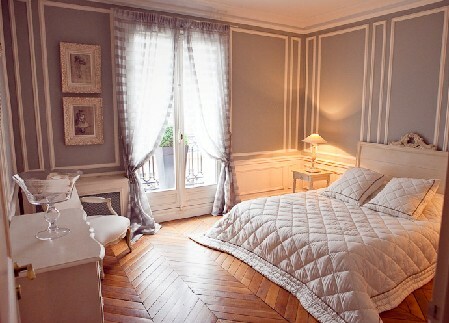 Bedrooms, Blogroll, Design, Friends, Paris Apartments. September 4, 2009 at 2:11 am. Permalink. hey amy, life is but a dream, you’re right. in fact, i think the world may be smaller than we’ve perceived and we should visit our favorite places whenever possible. and renting apartments is way more fun than hotels, i agree. September 4, 2009 at 2:55 am. Permalink. September 4, 2009 at 3:47 am. Permalink. As someone who knows Erica, I can attest to her extraordinary-ness! Her apartments are wonderful…and so are her greeters! September 4, 2009 at 9:21 pm. Permalink. September 4, 2009 at 3:51 am. Permalink. This place looks beautiful and full of old style character…really nice blog too and the colours you have used are lovely! September 4, 2009 at 3:21 pm. Permalink. Ohhhhh you are a very very good ambassadors för the blog-sphere…. I love your blog! September 5, 2009 at 7:11 am. Permalink. Oh Oh Oh! What a wonderful career! Posts like this make me wish so passionately that we were still living in Paris (although we will definitely move back there permanently before too many years pass) and also inspire me even more with my personal projects and ambitions. September 5, 2009 at 10:24 am. Permalink. Ooh la la… I’m ready to pack my bags and runaway to Paris… le sigh… beautiful photos! September 8, 2009 at 3:38 pm. Permalink. June 16, 2010 at 12:39 pm. Permalink. How inspiring! 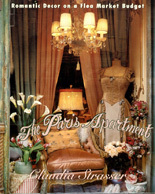 It’s so nice to read about someone who dreamed of a life in Paris and is now living it! Thanks for sharing! June 6, 2011 at 3:01 pm. Permalink.